Lots of random draws including your choice of a Tribal fin. You dont have to be a member of a club this year. Prizes for each GPSTC division. 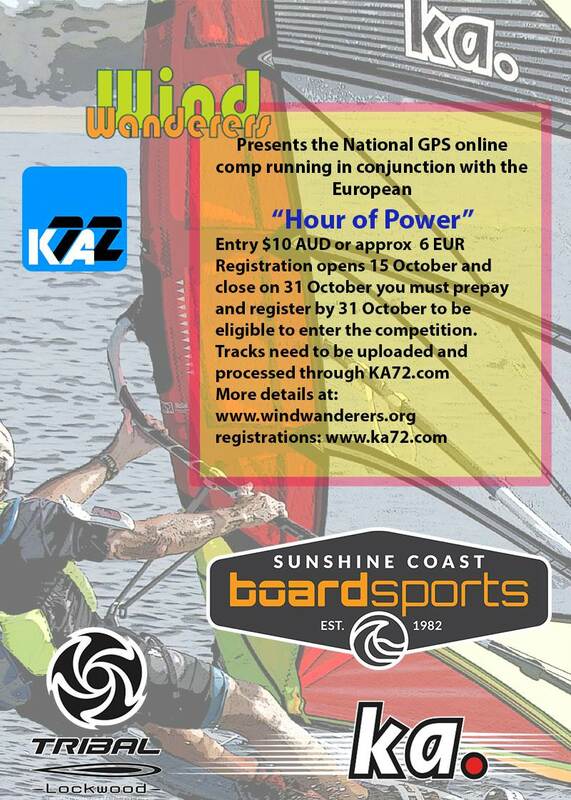 Don't forget to get your entry in for the November Hour of Power sponsored by SUNSHINE COAST BOARDSPORTS, KA SAILS and TRIBAL FINS. Wednesday the 31st October is the last day you can enter. The competition starts on Thursaday the 1st of November and runs for the month. You only have to enter and sail once to be in the major draw - a Tribal fin of your choice plus other minor prizes as well. There are also prizes for 1st in each GPSTC division.